It was the May of 1962 when Marilyn sang, “Happy birthday, Mr. President,” at Madison Square Garden. Her sparkly dress glimmering under the lights as she sang the song, intimately to the President, as if there wasn’t an entire room of DNC members alongside them. The event would notoriously go down in history — a private affair most definitely publicly confirmed by the steamy performance. Despite the scandalous performance, it was the birthday present she gifted JFK that would prove even more jaw-dropping — a Rolex. The World’s Most Infamous Day-Date? 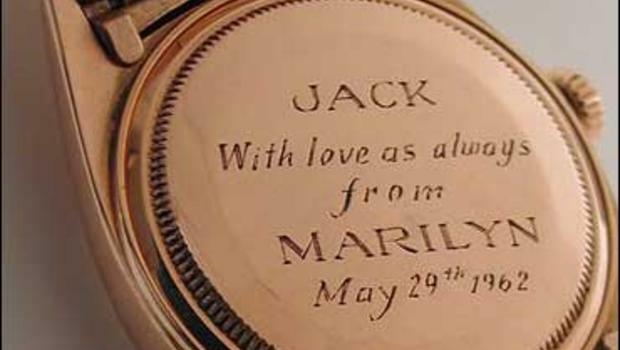 That same evening, Marilyn Monroe gifted the president with a personally inscribed gold Rolex Day-Date, before it garnered the nickname ‘The President’ itself. Reportedly, JFK told his aid to get rid of the watch and the note — and it successfully stayed out of the public eye for more than four decades before hitting the auction block in 2005 and selling for $120,000. This watch was eventually auctioned off. The Rolex given to President John F. Kennedy by Monroe was officially the first Day-Date to be presented to a president. Although, Kennedy never wore his, and it’s widely accepted his successor Lyndon B. Johnson is the president to give the timepiece its famous nickname. The Day-Date gets its name from its ability to tell its wearer not only the day of the week, but the date. It was the first watch to do so — displaying the day of the week at the top of the dial, and the date under the cyclops lens at the three o’clock marker. The watch was extremely innovative for its day — even sporting a double quick-set day and date complications. This allows the wearer to change the hour without moving the second timer. Inside is also a brilliant caliber 3155 movement (for the 36mm) and a 3255 movement (in the 40mm). Both watches are also self-winding and boast a 48 and 70-hour power reserve. Monroe’s gift made it to our radar, but that wasn’t the only President in the white house. 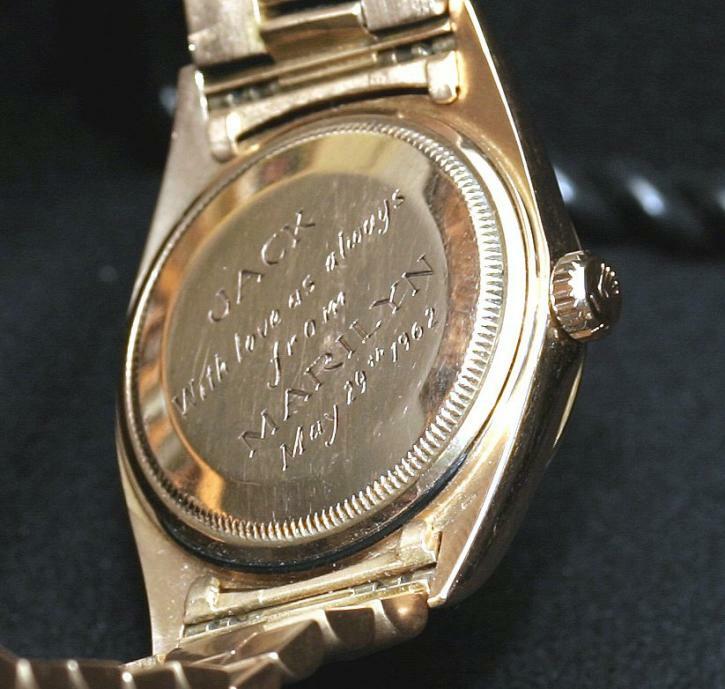 There have many a handful of other US Presidents with quite an expansive watch collection. The original Day-Date, also known today as The President, came in just 18k yellow gold casing or platinum. Today, though, you can get the timepiece in white gold and rose gold, too. But what’s really special about the aesthetics of Day-Date is the specially-made bracelet called the Presidential Band. You can only get the Presidential Band on the Day-Date and certain versions of the lady Date-Just.